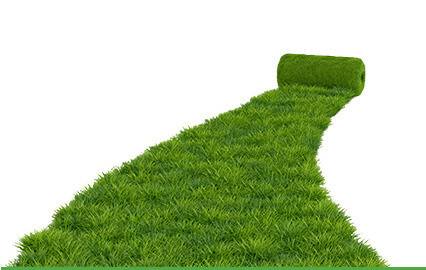 Why choose our garden landscapers? Is your lawn looking a bit worse for wear? It's amazing how quickly it happens; even after a few weeks of dry weather and not being mowed, your lawn can suddenly look a bit forlorn. Sometimes you can save your garden in time, and a bit of grass food and TLC can quickly fix the problem. 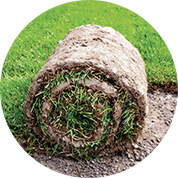 Unfortunately sometimes it's not quite so simple and it might require a brand new lawn. 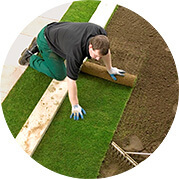 But whether it's because you just haven't had time for lawn care, you need new turf laid or you are looking to overhaul your garden with a bit of landscaping to make it look fresh, Handy Gardeners can cater for all your turfing needs. 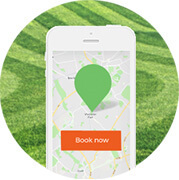 We aim to take all the frustration out of having a gorgeous lawn in London, with a fast and efficient lawn laying service. Give us a call on 020 3744 0111 and we will offer you a free quotation! in fact we guarantee it, or you get your money back. 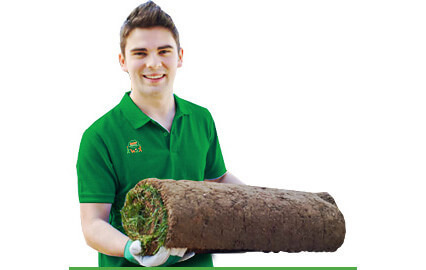 With a team of fantastic landscape gardeners who know everything there is to know about turf laying and gardening in general, you'll be delighted with your new lawn. 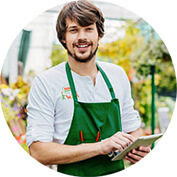 We are also one of the cheapest landscaping services around, offering truly exceptional value for money that's hard to find elsewhere in London. Our customers love the fact that we are able to save them so much money, and it's one of the key reasons they keep coming back time and again. 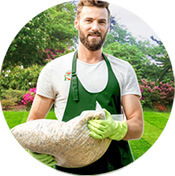 OWith a huge range of services on offer, we can help transform your garden, whether you want a simple turf laying service or complete landscaping service, our team have the expertise to help. All it takes is a quick call, email or text to our booking team who will discuss your needs with you, arrange a visit to do a quick survey. Then we'll provide you with your no obligation quote, and if you're happy, book you an appointment. Simple! Reserve your appointment today by dialling 020 3744 0111 now!